Bingo is held weekly at the community civic center. We are in need of volunteers during these events. If you are interested, please contact a member of the association. There is always a member present during bingo. 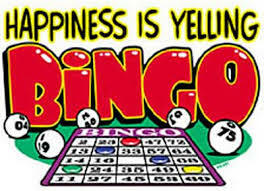 Prices vary depending on the bingo sheet of your choosing. Cost is determined by how many cards you play. For example, $4 will get you 9 cards and $13 will get you 36 cards. We have reduced the number of games so it moves much faster. The more you play, the more you can win! The more that play, the bigger the payout! So invite your friends. Early Bird starts at 5:30pm. Regular games start between 6-6:15pm.